JNBK disc brake pads are specifically developed for absolute road safety and environmental friendly. With the superior formula created, JNBK offers high-quality braking power with less pedal effort. JNBK brake pads are designed with the characteristics of less noise and less dust, without giving in to the braking performance. These characteristics are favourable to both the environment and man, cultivating a quieter and cleaner environment. Friction materials used for JNBK disc brake pads are specifically formulated to cater to different make and types of vehicles. 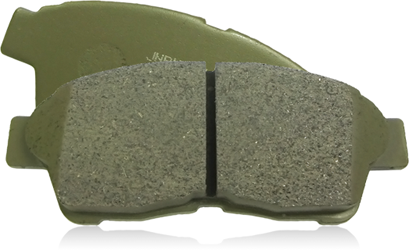 JNBK Genuine Spec disc brake pads meet original automotive quality specifications that are generally used for genuine parts replacement. ※Note: Friction material may vary depending on the type of application.